As co founder of anti hate group Resisting Hate and particularly as the non anonymous member of the group it is no secret that I receive a good deal of hate mail. 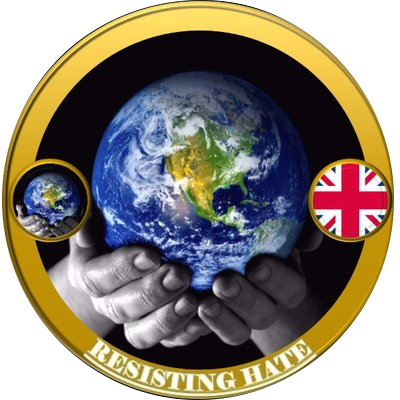 But although I had anticipated a high level of venom and vitriol prior to us establishing our group, the negative responses I get from the far right in relation to my posts, articles, tweets etc. have surprised me as they seem to be almost exclusively focused on my weight rather than my views. As a woman who is a size 18 on a good day (Lord only knows on a bad day) it hasn’t escaped my attention that I am somewhat overweight. It is rather fortunate for me that I have noticed this as there is certainly no shortage of people online pointing it out to me. Now this doesn’t bother me personally. I put myself out there knowing and expecting that haters would use any tactic they could to try and shut me up. But what does bother me and it concerns me a lot is how common fat shaming is becoming on social media. And it makes me angry that women who haven’t made the objective choice to open themselves up to hate in the way I have are abused for their size, shape, weight or waistline. The goal of fat shamers is to exploit what they see as insecurity on the part of women. 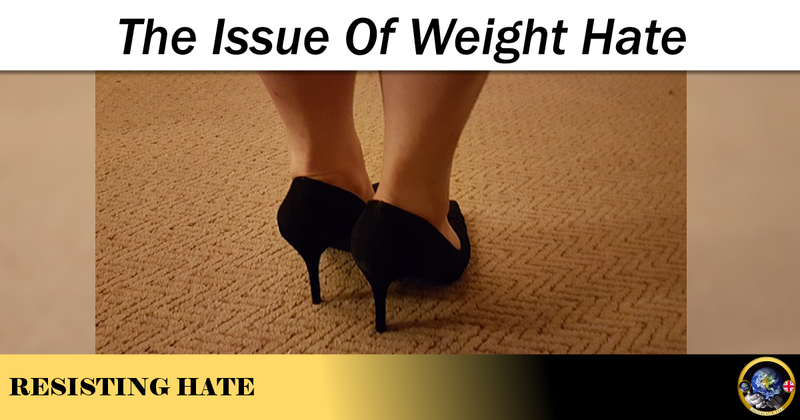 In a society where they believe all women are self conscious about their weight and embarrassed if they exceed a mythical perfect body size, haters seek to use this to undermine the confidence of women. Their objective is to exploit women with vulnerable self esteem and to ridicule and silence their views. 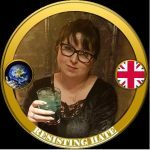 The rationale seems to be – If I tell you that you are fat, you won’t have the self confidence to defend your beliefs any more. The world we live in creates the perfect environment for these fat shaming haters. I know many strong, confident women who are simply bowed down with the weight (pun not intended) of the pro thin body image relentlessly perpetuated by the media. We are told so often that we must be thin that even the most confident of women can find themselves succumbing to self doubt and dislike of their own natural shape. Well current buns to that nonsense! Nobody has the right to tell a woman what she should look like. We deny our own individuality when we aspire to a homogenised female stereotype. Some women suit size eight best, some look their best at size twenty. It is ridiculous to expect us to all look the same because we are not the same. It is equally ridiculous for these online haters to assume we all care about how others perceive our bodies. And women who do have the confidence to validate their own self esteem by loving their bodies bumps, lumps, rolls and all can do a great deal of good by speaking up about this and giving those less confident the courage to like their own bodies too. Learn to love the good bits. I may be saggy, baggy and a bit wobbly – but I have perfect ankles. Seriously – perfect ankles. Chances are we can all find something we like in the mirror if we stop spending all our time staring at the bits we don’t. I’m not saying that losing weight can’t be a positive thing. It would be churlish to deny the health benefits of a balanced diet, exercise and carrying around less body fat. But what I am saying is that being a bit fat isn’t the end of the world it is made out to be. Women can still be attractive at bigger sizes, women can still be fit at bigger sizes and women absolutely 100% can feel good about themselves at bigger sizes. I am entirely unwilling to allow others to reduce my value and worth to the measurement of my waist line and so should you be. To add a note to my dedicated personal haters – Every time you attack my weight rather than my views you lose the debate. You prove you are unable to refute the arguments I put forward against hate and that all you are capable of is resorting to silly insults that, even you must have noticed by now, achieve little other than to make me laugh at you. So you lose and I win. And not only do I win, I win and I’ve eaten all the pies! ⟵AMD – Why Debate When You Can Block? As a big girl myself I sympathise with anyone having to put up with this kind of crap. No one has ever dared be rude to my face, and hell, why would you listen to the rantings of some one who hides behind their childish profiles? You have no self discipline you slug. Thank you for proving my point for me Ciaran Goggins. No perfectly decent people Nazi & racist because they disagree with your ideology. Stop playing the victim. Ok.